I love author Sandhya Menon. Her debut novel, When Dimple Met Rishi was one of my favorite novels of 2017. So I was very excited when From Twinkle, with Love arrived on my doorstep. 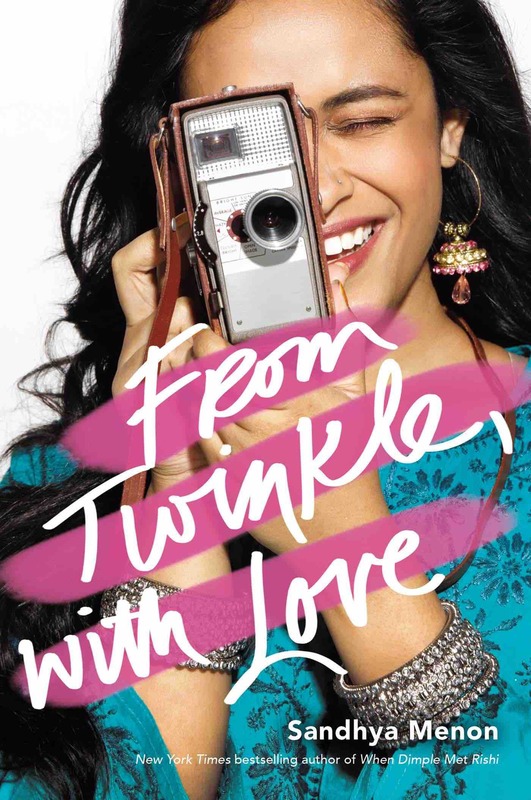 From Twinkle, with Love stars Twinkle Mehra, an aspiring filmmaker who’s more wallflower than starlet. Twinkle dreams of sharing her stories with the world, but most of her YouTube followers are her grandmother using different account names. When fellow film geek Sahil Roy suggests they join forces to create a movie for the upcoming Summer Festival, Twinkle can’t believe her luck. This is an actual chance to share her voice where people will actually listen, and it’s a dream come true. It also doesn’t hurt that Neil Roy — Twinkle’s longtime crush — is also Sahil’s twin brother. This is the perfect opportunity to get to know him better. Things start to get real interesting when a secret admirer starts emailing Twinkle, and she’s sure it’s Neil. The only problem, Twinkle is starting to fall in love with Sahil. This is a love triangle fit for the big screen, but in real life, it’s a lot more complicated. Menon’s writing is once again spot on. Her characters are flawed but likeable and her prose is smooth and inviting. She’s quickly become one of my favorite authors.